Last time I wrote about focus as an immediate effect of tracking time. Awareness is a similar concept. You could even use it as a synonym – when you’re focused in a moment you’re just totally aware of what you’re doing and nothing else matters?. But awareness is more then that. It’s focus across time span. 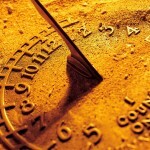 If you focus for some time and you track it, you’re becoming aware of where your time is going. From such focus bursts, when measured, you can build a history going back days, week, months and years. You’re no longer hearing just seconds ticking, you start hearing days, weeks, months and years ticking as well. You can always go back and check what led you to this very moment. Is it of any value to know such history? Shouldn’t we live in a moment? I don’t think it’s mutually exclusive. In fact, I think it’s complementary. Living in a moment is not grabbing random signals from our environment and acting on them. It’s picking and choosing. And knowing what to choose is consciousness and our consciousness is all our past up to this moment. So the better we know our past, even if it just comes to how we choose to spend our time, the more conscious we are. So you can build your awareness like a snowball. And just like a rolling snowball it has momentum. As you may remember from classroom – momentum is the product of velocity and mass. In the present moment, you can only affect the velocity – you can try pushing harder to increase it or let it go a bit so it decreases (in the presence of resistance – and there is always some). But mass is what you’ve built over the past. Moreover, momentum is not a scalar unit, it’s a vector unit. It means it doesn’t only have value, it also has direction. In the case of momentum built from your past – this direction is pointing to one thing – your future. And that’s how awareness is not only your past rolled into the ball that is your present, but it also projects into what’s coming. 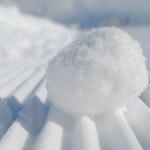 You can see your life as a trajectory of a rolling snowball. The present is a point on this line, the future is somewhere ahead of it. The more precisely you can draw the past trajectory, the better you know where it leads and can wiser use your power to change it. Note: my name is Marcin Komorek and I’m the developer behind Eternity Time Log and Bite15 apps.